There are many Samsung Galaxy S9 Rumours which have flooded the market. Let us try to find more about these possible rumours. The Samsung Galaxy S8 was announced in March 2017 and was finally available in April 2017, a later launch than usual, owing to the Samsung Galaxy Note 7 heating issues. Similarly, with early 2018 approaching, rumours of the upcoming Samsung Galaxy S9 has surfacing online as to how the phone will look, and what features will it contain. Here we will be discussing upon the potential features it can have, and what the rumours suggests. All the major things that you wish to know about the major flagship model will be found here. The latest leaks suggest that the S9 Plus will contain the Exynos 9810 chipset, and boast 4 GB of RAM. As for the price of the device, it is expected to be $725/AU$1200/£639 based on current speculations, as the new flagship is expected to come around an identical price as the Galaxy S8. Given that S8 was a complete design overhaul, it’s expected that S9 will not improve much over its design. The Galaxy S9 is expected to be released in March 2018, in the main conference of Mobile Word’s Conference, which will begin on Feb 25 and go on till March 1. While releasing the Samsung Galaxy S8, the company was already one month ahead of its schedule, so it is likely that the S9 will be revealed/launched in the later dates of February at Mobile Word Congress 2018. Before S8, all flagships Galaxy models followed the same launch schedule, and we can expect it to be the same for Galaxy S9. 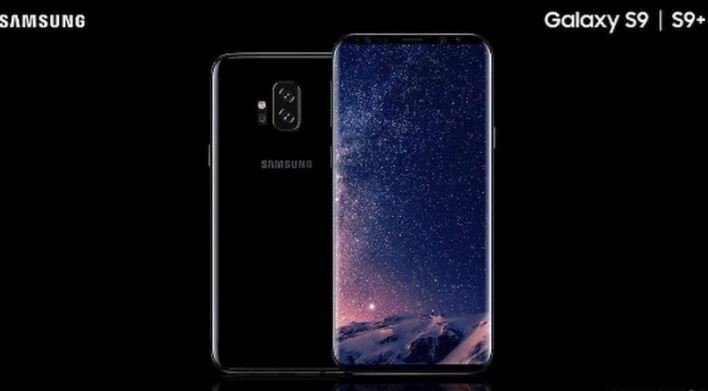 Recent reports suggest that the OLED screens used in these models are being shipped earlier than usual, which can also suggest a release as early as January, but it seems to be pushing too far, as people who had recently purchased their S8 models would not be able to make an upgrade to the newer model this early. What can surely be expected is that S9 will be more expensive than its predecessor, which was effectively priced at $720, AU$1,199 and £689. 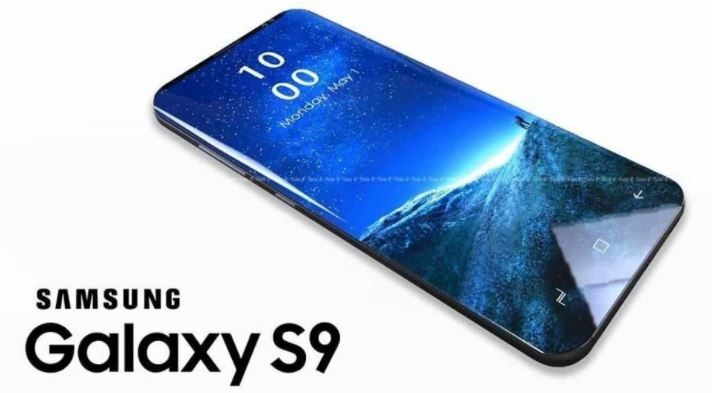 While nothing is revealed regarding the Samsung Galaxy S9 currently, however, sources claim that Samsung has been operating on the flagship model for some time. Reports reveal that the company has been on work with the display panels of Galaxy S9 since March 2017. If it is believed to be true, that is almost 6 months prior than usual. One of the biggest issues with the Galaxy S8 was that the fingerprint sensor was placed at the back of the device, after rumours abound that the sensor was originally meant to be under the display, however, it did not work out. However, the new Qualcomm Fingerprint Sensor will be able to set below quite thick OLED displays technology. All these points suggest that the Galaxy S9 might just move their finger print sensors below the glass, but nothing is confirmed yet. Chances are we still will not see an in-screen scanner with the S9, so let’s count out on that feature. A possible alternative may also come as a fingerprint sensor built into the notch, at the very bottom of the screen, just like the essential phone, but not at top, rather at bottom. The theory is backed by a patent, which showed this, but patents usually do not make it to the actual product, which means it might or might not happen. As for the camera, the Galaxy S9 is rumoured to be capable of shooting incredible slow motion videos. Some sources suggest that the company has been working on a camera, which is able to shoot a whooping 1,000 frames per second, which would beat everything available in the market right now. The Galaxy S9 is also lined-up or at least expected to get some new cool features, which might include magnets on the back, allowing the user to attach hardware accessories to the back, like zoom lenses or battery packs. Either way, the company might surprise its users with a newer way to unlock the device. 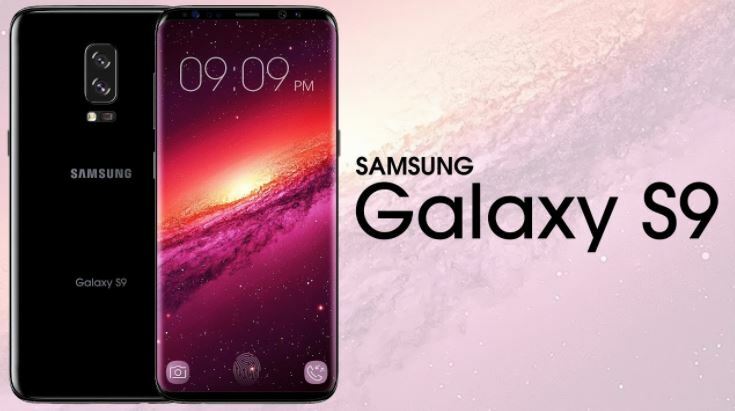 Recent rumours reveal that the Samsung Galaxy S9 will feature a 3D sensor front camera, and while it does not explain any further, it is not hard to understand that it will be similar to iPhone’s X Face ID system. It will use facial recognition similar to Apple’s and the 3D part does suggest that its accuracy may just be on par with iPhone X’s, with it not being fooled by a picture or twins. While one should not fully count in on this feature, it is not wise to leave it either. Moreover, Qualcomm and Samsung have started to work on a new stronger and faster mobile chip. The chip will apparently be known as the Snapdragon 845, an upgrade to the Snapdragon 835, which is found on some variants of Galaxy S8. The Snapdragon 845 will reportedly power the Samsung Galaxy S9, a strong source suggests. As far as the chip is concerned, not much is known about the Snapdragon 845, as neither its performance or power is tested. 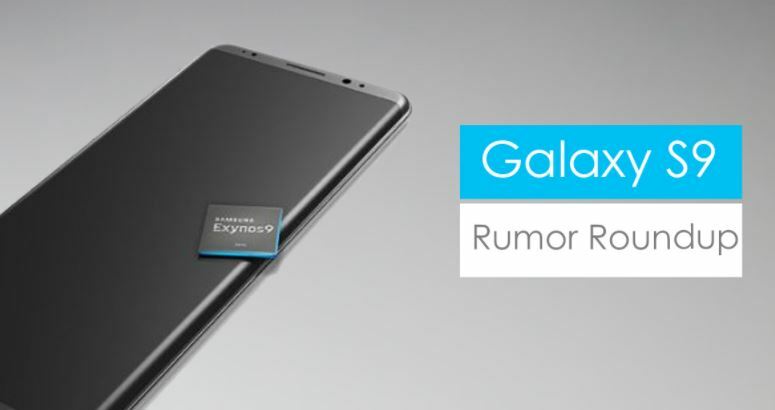 And surely, it will not be the only chip that Samsung will use on its device, with rumours revealing that Samsung will introduce a new Exynos chip for the S9 variants in some regions of the world. Samsung has also officially introduced the Exynos 9810, which is a likely candidate to power S9 outside of US. It might also feature an LTE modem that can support up to 1.2 Gbps of downloading speed, which is essentially faster than you can find on any other handset, meaning you could download a high-definition movie under 10 seconds. It is unlikely to see a 6 GB ram variant of the S9 handset, which most Smartphone brands are opting for. Samsung is likely to go with a more sensible 4 GB variant instead. It’s a claim backed by the recent benchmark reveal for Galaxy S9 Plus, but is sure comes as a surprise noting that Galaxy Note 8 features 8 Gigabytes of RAM. However, the benchmark cannot be termed as 100% true, as while it does list the Exynos 9810 chipset, which will likely be paired with Android Oreo, the final scores of the device in the benchmark pretty average than what one would normally expect from a flagship model, suggesting that the listing might be fake. Moreover, with the development of the bigger chipset, it might also allow Samsung to include in a bigger battery. New reports suggest that the company will make use of Substrate-like PCB technology, which allows the chipset manufacturer to contain bigger battery size, without increasing the size of the processor. This may also mean that the Qualcomm Snapdragon variants of Galaxy S9 may not get the bigger improvement, as the Exynos version do. Only one single source has revealed this possibility, so nothing is confirmed, but if it found to be true, it can be a major selling point for the flagship device. Another patent, which Samsung had secured, can analyse atmospheric conditions around you, and alert how much pollution is present in the air. Other than this, Samsung also licensed a new glass coating tech, which makes the water bounce off your phone screen. The company plans to include this new technology in an upcoming device, which may just mean that using the S9 will be much easier in the rain. Other key features, which are almost confirmed by multiple sources, and are the key selling points of the device include the fact that the Galaxy S9 will not only be joined by its big brother, the S9 Plus, but will also have a third variant the “Mini version”. In total, there will be three difference Galaxy S9 you can opt for, according to your liking. And the best part? Rumours suggests that all three of them include an infinity display, with the button below the screen being completely moved to the back, which can be a saddening news for many, and the end of several rumours. Another improvement that the device will feature is it’s camera set up. The S9 will feature a dual-lens set up, particularly famous for DSLR-like capabilities nowadays. The key part? It is rumoured to feature BBAR coating, which stands for Broad-Band Anti-Reflection coating. At present, this coating is only featured in professional DSLRs, and can be a game changer for camera set up in the future. It can prevent reflections, glares and ghosting, which can further enhance the photo’s clarity and colours. While rumours of the Smartphone will keep on surfacing until the final spec sheet of the Smartphone is unveiled, one thing is guarantee that the S9 will have to have some heavy game-changing changes in order to compete with the newer iPhone X design and FaceID capabilities. And knowing Samsung’s approach, the users are in for a sure delight for features this time. Expect it to feature some great capabilities, features, previously not featured in other Android devices, and expect the price to reflect the same.